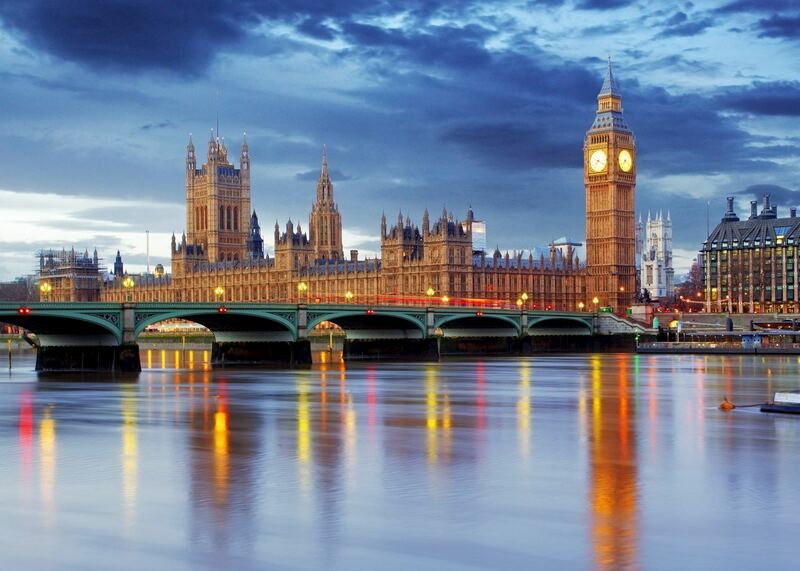 Dynamic, diverse and exhilarating, London is one of Europe's largest and most captivating cities. Along with cultural diversity, edgy creativity, unlimited shopping and culinary delights, London has a wealth of history. The stately streets are littered with historic monuments, extravagant churches and royal palaces. World-class museums and galleries offer everything from ancient treasures to avant-garde art and culture. Stars of stage and screen ply the West End boards, a swathe of eclectic markets serve the city's non-conformist residents, and leafy parks and riverside walks offer respite from the throngs. The hub of England’s political, financial, commercial and cultural life, it’s an enthralling place to visit. Behind the grandeur and swagger of the UK’s monument-studded capital city is a quirkier, friendlier and culturally diverse London. It’s a place of quiet gardens, markets selling street food from around the world, and unusual museums. Founded by the Romans, rebuilt by the Saxons and embellished by all who came after, London bears the stamp of a long and complex history. Monuments from the city's past are everywhere you go, from Tudor halls to Renaissance churches, Georgian squares and Victorian museums. Though plague, fire and warfare wreaked havoc over the years, by the 19th century London was the heartland of the vast British Empire and built grand edifices to reflect its power and influence. Later still, revolutionaries and radical thinkers gathered here, sixties style icons swept through its streets, and a whole new array of cutting-edge architects arrived to build contemporary landmarks to its cityscape. Some of the greatest names in world literature have called London home, and their traces are found everywhere. The homes of Charles Dickens and poet John Keats have been turned into small museums. You can see a Shakespeare performance in Shakespeare's Globe, an immaculate reconstruction of the original performance venue, or follow in the footsteps of Sherlock Holmes in his recreated home. You can visit pubs where Dylan Thomas and George Orwell were regulars or wander affluent Bloomsbury, home of the British Library and the birthplace of the literary circle to which Virginia Woolf belonged, the Bloomsbury Set. Visit Poets' Corner in Westminster Abbey or Highgate Cemetery to see the final resting place of influential authors and thinkers. Alternatively, just stroll down Charing Cross Road and browse the independent bookshops. 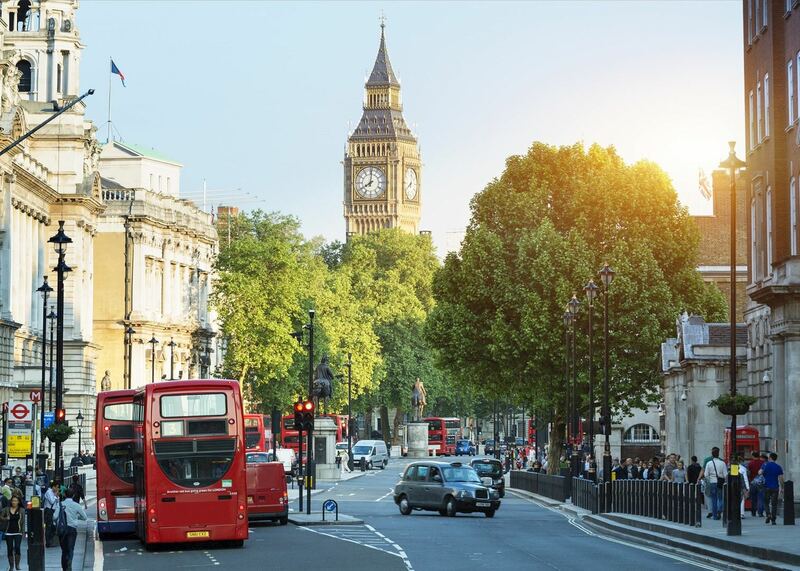 London is one of the most ethnically diverse cities in the world and its rich cultural heritage can be one of the most striking facets of a visit. Over 250 languages are spoken here. The combined influence of migrants from former outposts of the British Empire, economic and professional arrivals, and students on international exchanges has a profound impact on the capital’s food, music, clothing and culture. As you walk the city streets you'll wander in and out of little enclaves of Jamaica, Nepal, Ghana or India. Restaurants and food stalls lure you in with different aromas, while festivals, talks, courses and exhibitions offer the chance to understand cultures from all over the world. At almost 48.2 km (30 miles) wide, London is a vast place with many diverse districts. The royal, political and religious hub is Westminster and St James’s. It’s here you'll find Big Ben, the Houses of Parliament and Buckingham Palace. 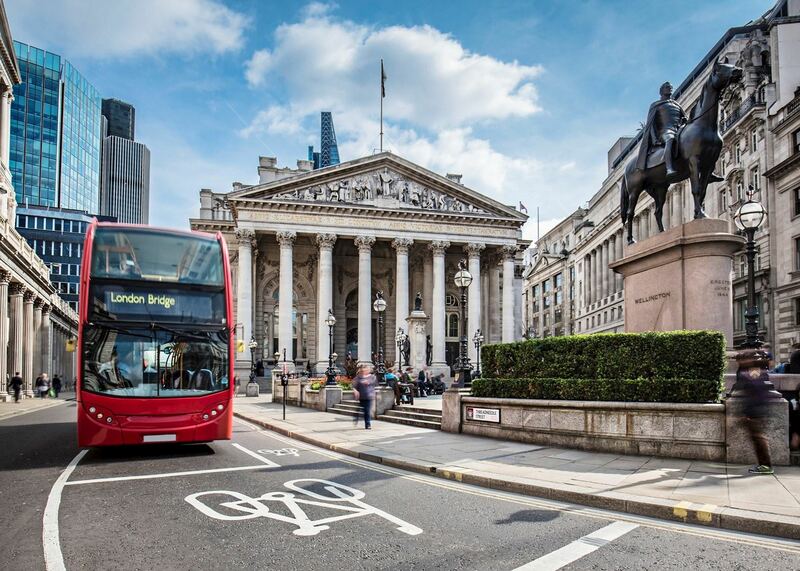 Soho and Covent Garden offer entertainment of all kinds, while Kensington and Chelsea are home to the city's most prestigious museums, and nearby Knightsbridge to exclusive shops such as Harrods. The City is the oldest part of London as well as its financial district, with St Paul's Cathedral standing on its highest point. It connects to the South Bank (home to the Tate Modern, the Globe Theatre and the London Eye) by a footbridge across the Thames. The East End has been gentrified, with plenty of innovative new start-ups and construction projects taking place around the site of the 2012 Olympics. An imposing but austere building, Buckingham Palace is the official home of Britain's monarch. It’s open to the public between late July and September while the Queen is away. A tour takes you through about 20 state rooms, including the grand Ballroom and the Throne Room, and also offers access to part of the royal gardens. Inside, artworks by Rembrandt, Van Dyck and Vermeer line the walls, while gilded furniture, plush carpets and sweeping staircases set the tone. You can also see an exhibition on the Queen's couture over her long reign. Outside, the Changing of the Guard is carried out with great pomp, while next door you can see royal carriages on display in the Royal Mews. The Palace of Westminster, to give it its proper name, is an extraordinary Gothic-revival building constructed in the mid-19th century after the previous medieval government buildings were destroyed by fire. 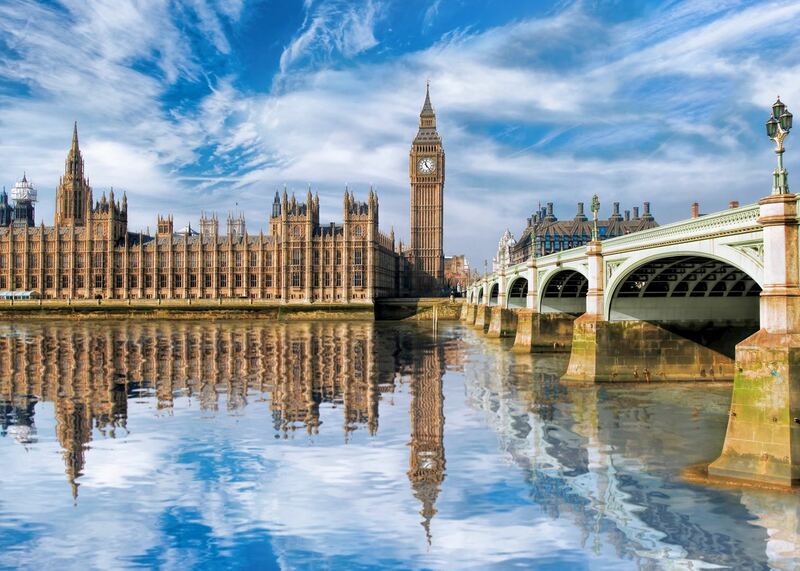 You can access the public galleries of the House of Commons or House of Lords simply by waiting in line, but summer guided tours give a far greater sense of the history and workings of this landmark building. The tour includes access to Westminster Hall, part of the original medieval structure to have survived the fire, which has a hammer-beam roof. You can also see St Stephen's Crypt, the Commons and the Lords, as well as the Queen’s Robing Room. Westminster Abbey has played a crucial role in English history for centuries. All British monarchs since William the Conqueror have been crowned here and many are buried here. The abbey buildings date back to the 13th century but have been extensively modified since. The church has a surprisingly long and high nave and a gloriously carved and elaborately decorated Lady Chapel commissioned by Henry VII. The simple wooden Coronation Chair is on display in St George's Chapel, while Poets' Corner is crammed with tributes to literary, scientific and historical greats. Outside you can see the Great Cloisters and the sumptuously decorated Chapter House where the House of Commons met until 1395. One of London's most famous landmarks, Big Ben is the nickname for an ornate, gilded clock tower overlooking Westminster Bridge. It’s part of the Houses of Parliament but is named after the enormous bell which rings out across the city and is heard worldwide in BBC broadcasts. The Elizabeth Tower, to give it its proper name, was completed in 1859 and rises 97 m (318 ft). The lantern at the top of the tower was installed on Queen Victoria's request in 1885 and is lit whenever either of the Houses of Parliament is sitting after dark. The story goes that she wanted to be able to see from Buckingham Palace whether her government were at work. 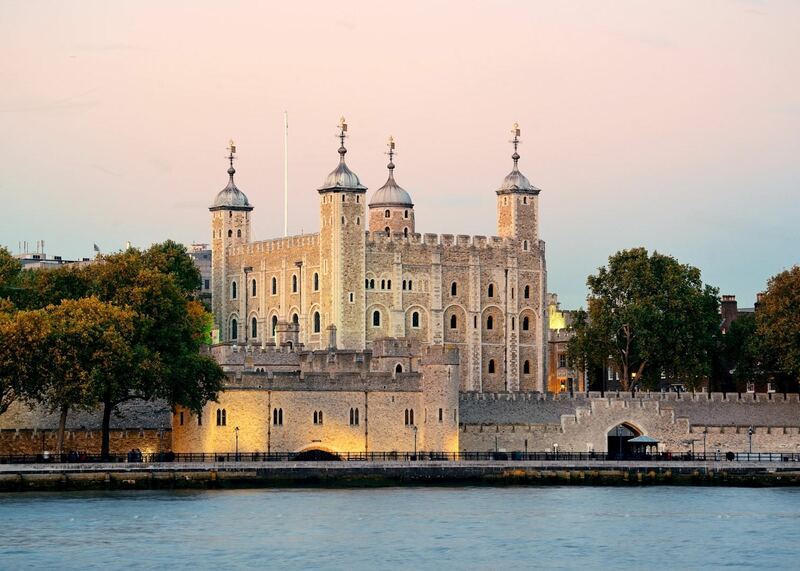 Marking the eastern limit of the old city walls, the Tower of London has served numerous purposes over the years including a royal residence and menagerie, royal mint, observatory, prison and weapons’ store. Two kings and three queens were executed here, Sir Walter Raleigh was imprisoned here on three separate occasions and it’s also home to London's oldest church, the Chapel of Saint John, which dates from 1076. 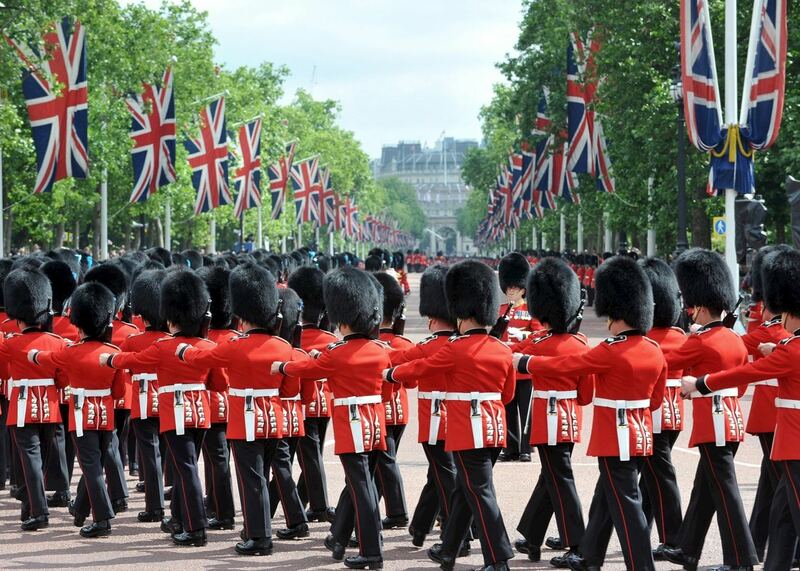 It’s most famous, however, as the home of the crown jewels and their guardians, the resident Yeoman Warders, or Beefeaters as they’ve become known. If you want to experience London's incredible diversity, its markets are a good place to start. You'll find wholesale fruit, vegetables and fish sold under cast-iron canopies by East End barrow boys as well as trendy street stalls selling organic meats and fairtrade clothing. 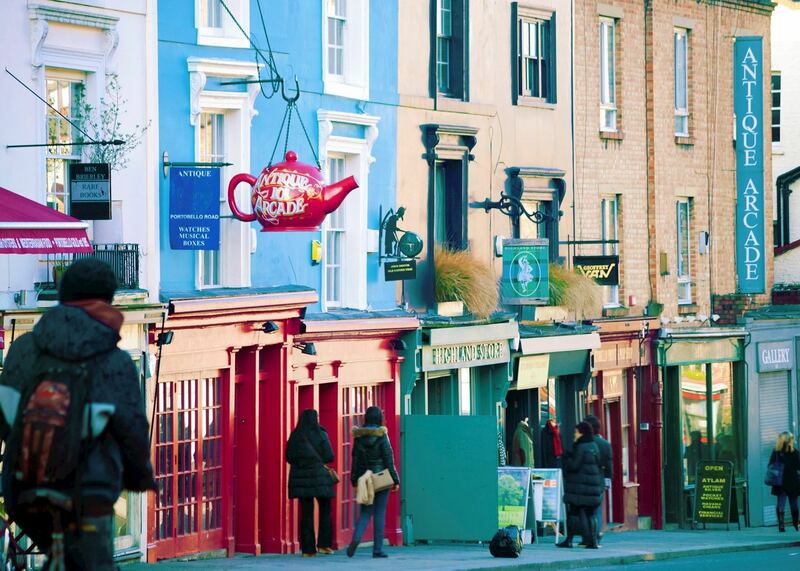 One of the most interesting markets is Portobello Road Market, which offers good quality antiques and vintage fashion, though Camden Market is a more vibrant affair with a profusion of clothing, crafts, ceramics and food from around the world. Noisy, vibrant and edgy Brick Lane offers everything from knick-knacks to second-hand clothing and household goods. It’s also home to some of the city's best curry houses. Old Spitalfields Market offers organic foods, clothing and crafts. For an encounter with true Cockney culture, try the Columbia Road flower market in the East End. Multicultural Borough Market’s small-scale producers sell artisan foods under the curved glass roof of a Victorian building fronted by an Art Deco entrance. Here, you could pick up anything from liquors distilled in east London to Ethiopian street food. The Golden Hinde, a full-size, exact replica of Sir Francis Drake’s galleon, is walking distance away. Our itineraries will give you suggestions for what is possible when you travel in London, and they showcase routes we know work particularly well. Treat them as inspiration, because your trip will be created uniquely by one of our specialists. We’ve selected a range of accommodation options for when you visit London. Our choices usually come recommended for their character, facilities and service or location. Our specialists always aim to suggest properties that match your preferences. Transport yourself back to the 1920s when rail travel was in its heyday, journeying in Art Deco style on the Venice Simplon Orient-Express. Sumptuous, classical elegance, a rich family heritage and splashes of the Orient combine at The Goring, a refined and sophisticated hotel providing delightful accommodation in central London. A small, boutique hotel that flaunts its heritage in lavish period style while still maintaining excellent service levels, The Gore is located in South Kensington, just minutes’ walk from many of the city’s attractions. Set in an attractive 19th-century building, the Corinthia Hotel London offers exceptional service and quality. Its stylish, contemporary elegance is evident in the spacious guest rooms, the numerous dining options and the lavish spa. One of the world's most distinguished hotels, long a haunt of the rich and famous, The Dorchester is an opulent retreat known for its excellent service, beautiful rooms and outstanding dining. The hotel is located on prestigious Park Lane overlooking Hyde Park. Set in what was once one of London's most luxurious apartment blocks on the prestigious Embankment, The Royal Horseguards offers plenty of period charm along with modern design and facilities, a convenient location and a well-regarded restaurant. A beautiful heritage property with an elegant and contemporary style, The Kensington offers impeccable service standards and a range of delightful dining options. Alternatively, many of the city’s main sights are nearby and are easily accessible on foot. A large boutique hotel that manages to retain its historical charm as well as a quirky sense of style, the Radisson Blu Edwardian Vanderbilt welcomes guests though a stylish lobby that leads onto a beautifully light and airy restaurant and comfortable, modern rooms. A purpose-built hotel in affluent Kensington with chic, contemporary guest rooms featuring British-themed decor, The Bailey's Hotel retains its Victorian character with stained glass windows, intricately carved ceilings and tall windows. Located just north of Soho, Charlotte Street Hotel oozes ‘contemporary London life’, with bold patterns and exquisite designs. The Bloomsbury is a classic hotel, whose 1920s vintage influence has a literary twist. Its convenient location makes it perfect for exploring the capital’s literary area as well as many of London’s main sights. This classic Victorian townhouse in the heart of South Kensington combines bright, quirky design with chic elegance. Tucked away in the residential area of Marylebone, Dorset Square Hotel combines a Regency-era townhouse exterior with a modern and bold patterned interior. An exclusive yet understated hotel, the Franklin is a hidden gem in residential Knightsbridge with access to a shared residents’ garden. It offers decadent luxury with beautifully designed rooms. Our specialists seek out authentic ways to get to know the places that could feature in your trip. These activities reflect some of the experiences they've most enjoyed while visiting London, and which use the best local guides. Immerse yourself into the world of William Shakespeare with a trip to the Globe Theatre. This replica faithfully reproduces the original's thatched roof, open-air performance area and actors who encourage the audience to get involved in the production. Discover the history behind St Paul's Cathedral on a private guided tour with a local expert. Learn about its design and construction, the craftsmen who worked on it and climb to the top of the dome for panoramic views over central London. Get a glimpse into the lives of the British monarchy on this full-day tour that takes in the austere Buckingham Palace in London and then tours the fascinating State Apartments of imposing Windsor Castle, the preferred royal home. Buckle up and sit back for the ride of a lifetime as you whizz around London's backstreets in a classic Mini Cooper, ticking off the sights as you go and discovering some of the city's hidden charms with a local expert. Explore vibrant and cosmopolitan Borough Market in the company of an acclaimed chef and food writer who can take you through the historic, stall-lined lanes, introduce you to traders and fill you in on the market's history. Discover some of the secrets behind London's most famous literary figures on this fascinating half-day walking tour around Bloomsbury, one of the city's most creative corners. Wander through historic streets with an expert guide and finish up at the British Library. Avoid the crowds as you discover London’s most important sites with a private guide. 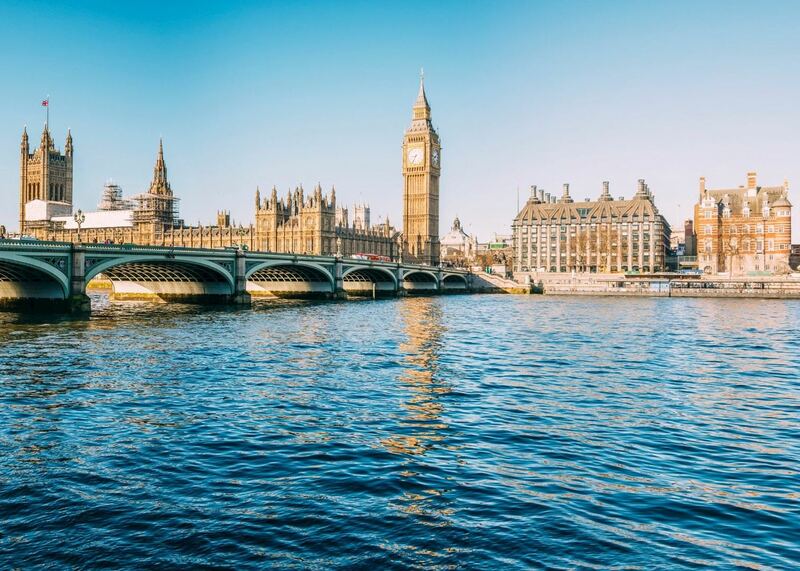 This intimate tour visits Westminster Abbey and the Tower of London, where you can see the Crown Jewels, with a connecting boat ride along the Thames. Explore delightful Greenwich, a leafy borough renowned for its magnificent architecture and strong connections to the maritime and scientific world. Stroll through the Royal Observatory, strand straddling two hemisphere's are learn about the race to reach China aboard the Cutty Sark.